To increase the allure of any garden setting, use a fountain or waterfall to add glistening movements and sounds, flashes of light and shimmering reflection. A fountain or waterfall makes the perfect focal point because in any size garden, water always draws the eye. No matter which water element you choose, you will receive hours of relaxed enjoyment after a stressful day. Let the sight and sound of nature capture your mind and take you away with the steady splash from your fountain or the enhanced cascade of your waterfall. 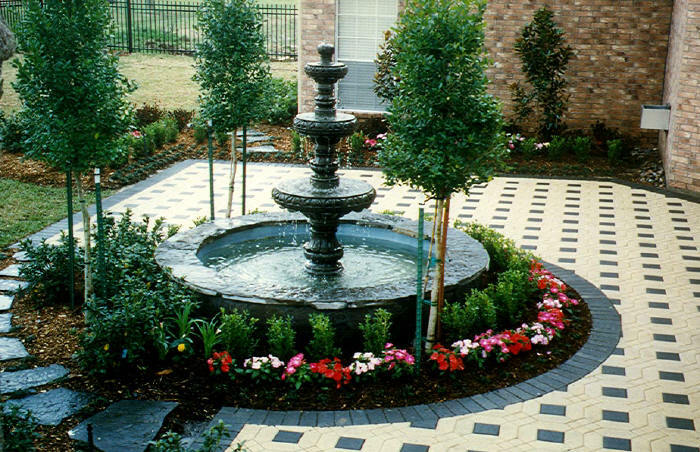 Whether it is a Fountain, Waterfall or Bubbling Urn, let us create that special water feature you have always dreamed of.